The CIA has declassified a lot of secrets that have hugely influenced our perception about UFO-oriented matters. Experts and skeptics alike have been stunned as the documents fill the gaps in recent discoveries. Some say, that ‘to see is to believe.’ But in the wake of the 13 million pages that the CIA has de-classified with permission from the Commander in Chief, a lot of speculation has been put to rest, and a lot of questions have risen. The declassified UFO documents largely contain information about CIA covert ops for UFO Findings and Sightings and other important information. But, they shed more light on the past, more than anything. A vault of information is now available to experts and casual enthusiasts that substantiate a lot of claims involving UFO’s, psychic powers and other national secrets. The CIA may have its quarters in Langley, but their agendas involve helping humanity permeate the farthest reaches of the galaxy and liaising with alien races. After their extensive studies on Unidentified Flying Objects or UFO’s, the CIA has admitted that indeed we may have possibly witnessed a visiting or passing UFO in 1966. The research involves an incident on the Russian-Iranian border, where a circular, glowing, white object three times the size of the Moon was seen to fill the sky for a brief period. 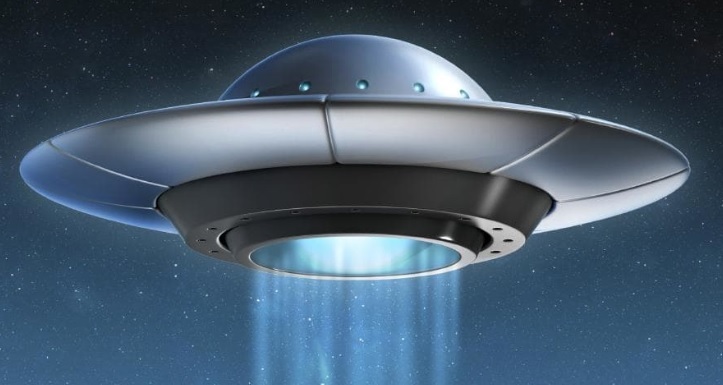 Almost 1500 sightings of UFO’s have been documented in the CIA reports, since the year 1947. And a good 20% have not been debunked or explained! The name Uri Geller is often seen slipping in and out of the conversation. Uri Geller’s claim to fame is as a possible psychic and paranormal ‘trickster.’ The term ‘trickster’ was coined mostly by his skeptics who have dismissed him as a shrewd stage-magic practitioner. However, the declassified CIA documents reveal much more than hearsay. Geller’s clairvoyant and psychokinetic abilities were put to the test by the CIA way back in the 70’s. He successfully managed to reproduce a sketch which was being drawn by another person in a different room, without any aid whatsoever. This revelation further substantiates Geller's statements about his involvement in one-off CIA missions. Geller is widely revered for his contributions to the world of psychics, paranormal, and extraterrestrial first encounters. However, one of the most riveting facts he shared to date was his discussion with the late Beatle, John Lennon, where the latter confessed to an extraterrestrial encounter. Geller had long admitted that his powers are a result of an alien gift. The validity of this claim got further substantiated after the de-classification of the CIA documents. They speak of one Stargate Project, which is in layman’s terms a special task-force organized to handle paranormal and extraterrestrial incidents and phenomena. The CIA further explored Uri Geller's abilities in association with their efforts to establish the Stargate Project. The revelations come at a time when UFO related discussions have become the hot topic thanks to musician and self-proclaimed UFO expert Tom Delonge. While 90’s Punk Rock addicts may have a different reason to remember Delonge, the musician has taken significant steps to sound the alarm about secret UFO programs arranged by the Pentagon and declassified UFO Documents. Delonge has long been a controversial figure that dabbles in the terrestrial, paranormal and extraterrestrial phenomenon. While Delonge’s claims have been met with some skepticism from notable scientists, he has redeemed his status as a self-proclaimed status after blowing the trumpet about the Pentagon being secretive about UFO programs. Some other thought-provoking revelations have also come to light thanks to the declassification of the CIA documents. Delonge’s efforts to round up his team of experts, astrophysicists and paranormal experts continue to keep the word alive about the UFO sightings.